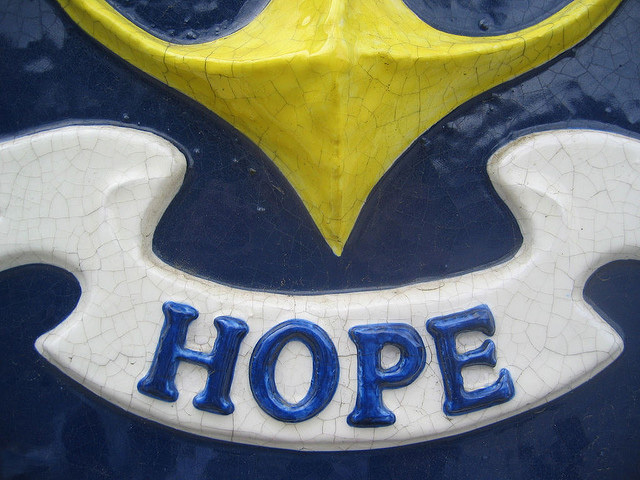 Hope - Rhode Island's state motto; photo by Micah Laaker on Flickr (noncommercial use permitted with attribution / share alike). The use of the word "Hope" was probably inspired by the biblical phrase "hope we have as an anchor of the soul." 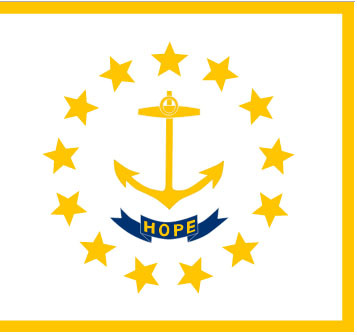 Flag of Rhode Island; public domain image on Wikipedia.